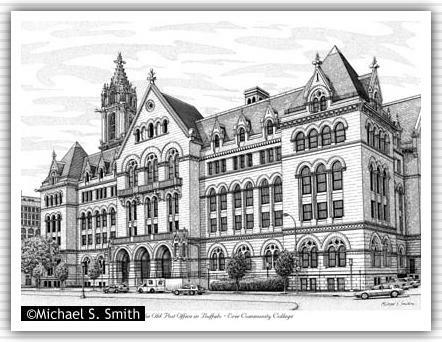 Built between 1897-1901, the Old Post Office in Buffalo was at the center of a national controversy. A new law had been enacted that required for a national competition between architects to design new federal buildings. However, the Secretary of the Treasury Henry Carlisle chose to ignore this new ruling and had the building designed by government architects anyway.